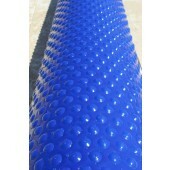 Sancell Pool Covers - proudly manufactured in Australia! Australia’s warm climate, although perfect for fun in the sun can cause an uncovered domestic pool to lose up to 55,000 litres annually through evaporation, an unnecessary waste of a resource already in short supply. When water evaporates, as do expensive pool chemicals and salts, losses which are costly, but thankfully easily avoided. A properly fitted Sancell pool cover can prevent up to 97% of evaporation equating to thousands of litres of water and hundreds of dollars worth of salts and chemicals depending on the size of your pool. Sancell covers also reduce heat loss in heated pools, saving on costly power bills. A Sancell Pool Cover is truly an investment and by saving resources will pay for itself several times over during the course of its life! All Sancell Pool Cover material is manufactured just outside of Melbourne. Sancell proudly employs more than 50 staff to manufacture this great Australian made product. 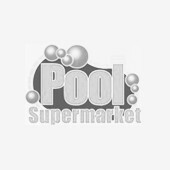 At Pool Supermarket, we stock a complete range of Sancell Solar Pool Blankets 400 micron.